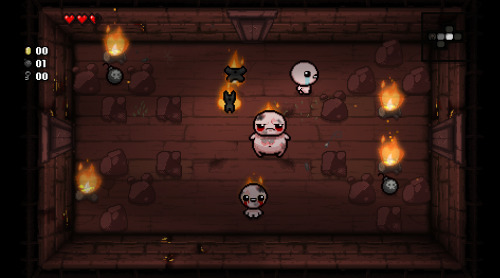 New content on 'Afterbirth' may also amp up the difficulty a bit. Those that own the original The Binding of Isaac DLC, 'Wrath of the Lamb', can now update it with a newly added hard mode. Thank the one man on the dev team, Florian Himsl, for his hard work to increase the game's replay value even further. Also, we have some new info on The Binding of Isaac Rebirth's upcoming DLC! PC players will be happy to know that the game just got even harder. According to Edmund McMillen, Himsl's ultimate goal for the hard mode was "to make the most challenging and trolly version of Isaac ever... and i think he succeeded in doing so." If a real challenge is what you want, go hog wild with the new update to Wrath of the Lamb. "Now I won't say I think this mode is the most balanced thing in the world, because it is not, even in the slightest, but as an optional mode for an old game I thought, what the hell. I'm sure there are more than enough sadists out there who like to be toyed with. Honestly though, there are more than a few additions Himsl added that I think are quite interesting. And even though the hard mode isn't for everyone, I think any Isaac fan will get a kick out of just how randomly ridiculous some of the new additions are." 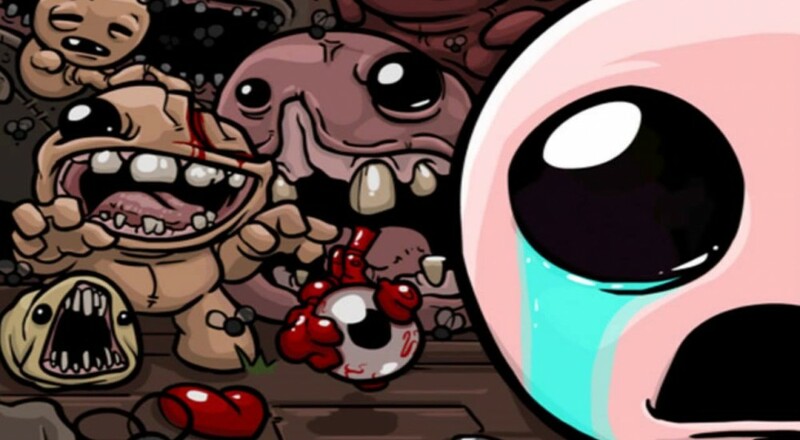 Mac versions of The Binding of Isaac will be able to obtain the update next week. Additionally, we received a bit of news regarding 'Afterbirth', The Binding of Isaac Rebirth's upcoming DLC. McMillen commented that the DLC will add alternate versions of the game's underground chambers, such as levels that have been set on fire. With these new variations, the Burning Basement/Cellar levels will add more flaming foes and fire pits to increase the difficulty in new ways. However, because of the difficulty increases in these alternate levels, much greater rewards can be obtained within them. As McMillen put it, "These new alt levels will act as 'champion' variations of levels, making things slightly harder but also raising the possibility of more reward." One other aspect of the game that will be changed are the stats of the super secret unlockable character in Rebirth, The Lost. This ghost character who begins the game with no heath, can pick up an items, and is in permanent fly mode is one of McMillen's favorites, but the developer feels like the character is a bit underpowered for the amount of effort it takes to obtain him. That being said, he's looking to a Reddit thread to ask fans what sort of buffs should be added to The Lost; possibly some Spectral Tears or increased movement speed? Go suggest some right now! Page created in 0.4552 seconds.